The amazing Dierks Bentley is hitting the road to celebrate his eighth studio album 'Black' released earlier this year! The country singer's brand new lead single titled "Somewhere on a Beach," is already receiving the highest quality reviews for it's groundbreaking sound. Joining him on tour is Randy Houser, Cam & Tucker Beathard… It's going to be huge – get down to Farm Bureau Live on Sunday 24th July 2016 to catch all of this and more LIVE in concert! "Love you guys. So looking forward to the summer, the tour, the new single. It's gonna be a big 2016, so thank you guys. See you somewhere on a beach this summer." "This album is about ALL phases of a relationship, including the breakups. 'Beach' is a pretty blunt take on that wild rebound we've all had or maybe imagined having. The carefree attitude is exactly the spirit we wanted to bring out on the road this year." "I've toured with Randy before, and he's just a great dude—on stage and backstage. And I've gotten to know Cam a little over the last year, and she's fun as hell too and so talented. It's going to be a big summer for sure." 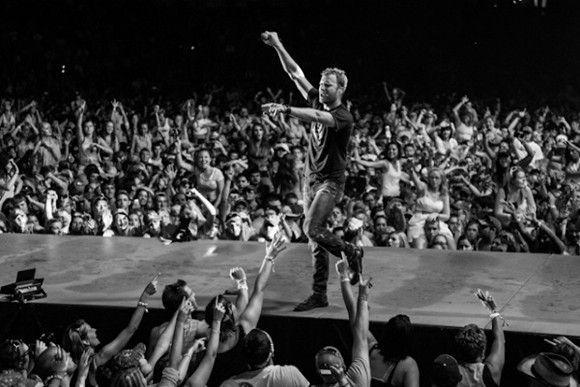 "Dierks is Great and Delivers an Explosive Concert"